Whether you’re just starting out or looking to go to the next level, our guitar lessons will help you get there. I have realized that my fingers are long than others…Do I need a guitar with a bigger nut/neck? Hey Dan – it really comes down to preference. I would suggest going to a music store and trying out guitars with different sized necks to see what you like best. I love your tutorials; however, I play left handed and it takes me a while to figure where to place my fingers. Is there a lefty option for viewing chord charts? Please this is my very first time of picking up a guitar of my own. I don’t even have a basic knowledge of my musical notes. I don’t even know where to begin from. But I am Eagar and very serious to learn how to play guitar. I need assistance. That happens at first – you just have to keep at it and eventually it will get better. Good luck! 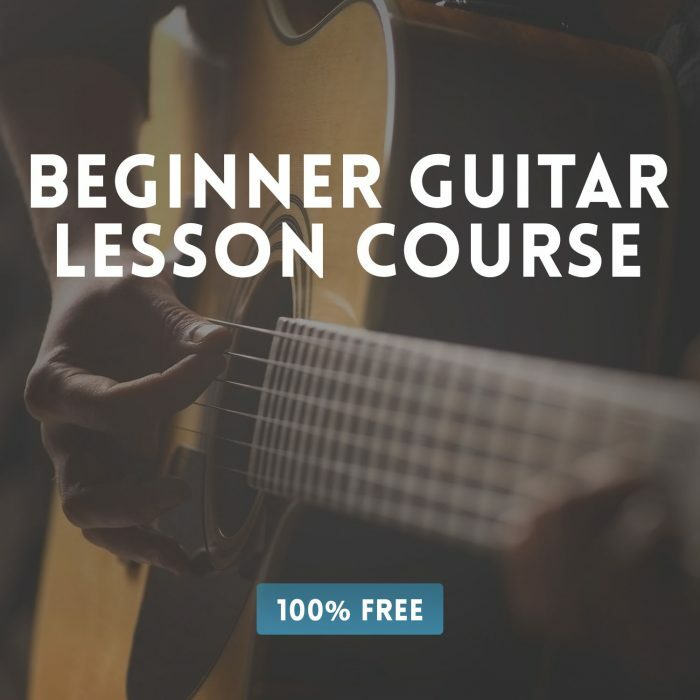 Hi Brian, I’m a beginner, Your Tutorial is amazing, I’m just excited to think that i can play songs quickly by learning from this tutorial. Hats off for this great work. I’ve Question, As i practise one chord, when should i move on to the next chord (next lesson)? Is it, when i can place my fingers without looking at the strings and strum to hear the right sound?? Need your views on this!! Hi Brian. I find your videos very helpful, but I was wondering if you have a course on transitioning from acoustic to electric guitar. I have been playing acoustic guitar for many years but need to prepare myself to play electric in church. Thanks. Hi David – this is actually something we’re planning on doing. Did you have any hard copy on lesson chord.? i will be teaching my youth ministry on how to play guitar, they willing to play in worship team, so i’m taking a step to teach them how to play guitar. Hello – I don’t have anything like that at this time, sorry. Thanks so much for your YouTube videos and website. I’m just starting out on the guitar but I can’t seem to access your videos or the chord charts on your website, it keeps coming up with an error. Can you advise? Thanks for all you and the team do. When will Amazing Grace lesson be out? Is there an alternative lesson you’d recommend as a first song? I’m kusal from srilanka. I’m playing a achostic as a beginner. I watched and downloaded all videos of you from YouTube. Those are very useful for all beginners. But i have a suggestion, if you can please create a complete all chords tutorial book as a pdf to download all guitar players all around the world.